A single cup of coffee is often all we need as we’re rushing out the door in the morning or fighting that midafternoon crash at work. After two weeks of brewing and drinking dozens of cups of coffee, we determined that the Keurig 2.0 – K575 Series Coffee Maker is the best single-cup coffee maker. It makes pod coffee stronger, faster and hotter than other machines, and its sleek design features a user-friendly LED screen. Single-cup coffee makers fall into one of three categories. First, single-cup coffee makers can be simpler, smaller versions of traditional drip machines. They look and function like most home brewers you’re probably familiar with. You grind coffee, put a filter in the machine, add the coffee, and push a button. Hot water flows over the grounds and the coffee drips down through the filter. The end result is a single cup of hot drip coffee. 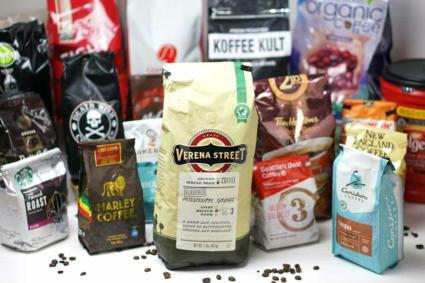 The second category is dominated by the Keurig brand, which manufactures both machines and patented cups of prepackaged ground coffee vacuum-sealed in nitrogen to prevent oxidation. With the pod in place and the mechanism shut, small pins pierce both the top and bottom of the pod. At the push of a button, water is pumped from a tank on the side of the machine into a reservoir containing the heating coils. 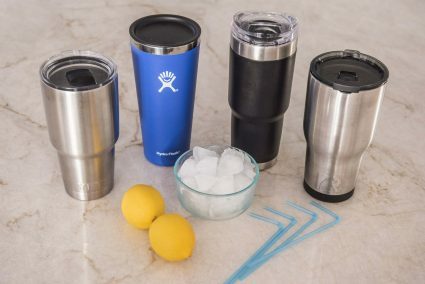 Once the water is heated to the optimal temperature, it is pushed through the pod and directly into your mug. A third type of machine creates a stronger, more concentrated espresso-style brew. Also dominated by a single brand, Nespresso, these machines pump out shots of espresso topped with that desirable frothy layer of crema. The shots can be enjoyed on their own or used to make lattes, cappuccinos, and other espresso drinks. We wanted to put together a comprehensive sample of the best coffee makers out there, representative of these three categories. Before we started our research online, we got input from our resident coffee aficionados. Obviously, the two big names, Keurig and Nespresso had to be included. It also became clear that comparing two Keurig models would be helpful for consumers. The Keurig 2.0 K575 Series is a more expensive version of the machine and features a variety of brew settings while the Keurig K55 is a more basic, economical pod coffee maker. We spent a dozen hours combing through Amazon reviews, coffee blogs, and ranking sites like Cnet and Consumer Reports. We also watched product demonstration videos and searched through a few subreddits in the pursuit of actionable information and advice. Using this new knowledge, we chose the following seven products for testing. Single-cup coffee makers have grown in popularity because of their reliability; single-cup machines that use pods make a consistent product every time. They’re efficient, convenient, and offer a huge selection of beverages — over 200 coffees, teas, and hot chocolates, including styles from Starbucks, Dunkin Donuts, Snapple, Tazo, and Illycafe. By eliminating bean scooping and paper filters, these machines also take away the chore of making coffee and cleaning out the machine. No need to guess on the water-to-coffee ratio and no need to measure either. Just pop in the pod, hit the button, drink your coffee, and toss out the pod. With the exception of the Nespresso – Citiz (pronounced “cities”), all the coffee makers we tested also allow you to use your own ground coffee if you prefer. A common complaint in the 1990s, when the Keurig system was introduced, was the reliance on pods exclusively. Today, Keurig offers the My K-Cup Reusable Coffee Filter, which lets you use your favorite freshly ground blend from your local roaster. Brewing one cup at a time also ensures the mug you’re drinking is fresh. It cuts down on time and waste too. If the first person to get into the office at 8 a.m. makes a full pot of coffee, but the boss doesn’t roll in until after nine, his coffee will be stale, taste burned, and probably end up going in the microwave. First, K-Cup coffee is more expensive than buying beans and using a traditional brewing machine, French press, or percolator. Depending on the particular K-Cup and brand of coffee in comparison, coffee made with the Keurig system is somewhere between three and five times more expensive. According to an article published in the March 2015 issue of the Atlantic, the 11 grams of coffee per pod works out to about $40 per pound. A pound of whole bean dark roast at Starbucks goes for about $12 a pound and the same is about $9 at Dunkin Donuts. Even our favorite local premium roaster in San Diego, Dark Horse Coffee, sells its Ethiopian Yirgacheffe for $18 a pound, which is still less than half the price of a pound of K-Cup coffee. When the Keurig was introduced in 1990, the company held the exclusive patent on the cups that fit into the machine. 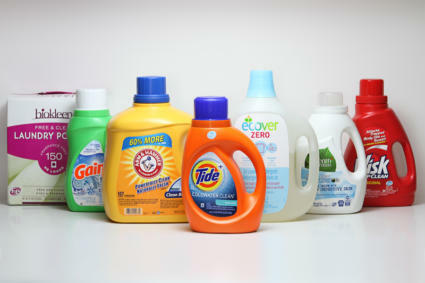 In September of 2012, that patent expired and the market was flooded with private-label pods from a variety of independent and corporate entities. The competition brought down prices — but only temporarily. Keurig responded by introducing a sensor embedded in their 2.0 models that prohibits the use of unlicensed pods. The machine reads a piece of digital information on each pod and will only brew if the pod is, in fact, a licensed variety. 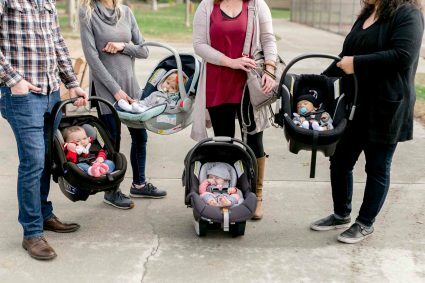 The competition, in turn, filed lawsuits and the Internet community posted hacks and workarounds that allowed third-party pods to be used. This is still the case today. Another aspect of the Keurig system that has drawn criticism is the environmental impact of the one-use-only pods, which are neither easily recyclable nor biodegradable. According to recycleacup.com, K-Cups can only be recycled if the separate components are taken apart prior to recycling. They’re made of a combination of plastic, aluminum, and paper. The coffee inside must first be emptied, and each different material within the K-Cup should be separated. Most people don’t do this. Therefore, most coffee brewed with a Keurig machine results in another plastic pod being added to the trash. A traditional drip coffee maker utilizes a paper filter that is biodegradable and compostable, and French presses and percolators create no waste. That cannot be said for Keurig systems. Not only are the disposable K-Cups an environmental issue, but also the manufacturing of them involves many more steps than any other kind of coffee. Aside from these considerations, many coffee drinkers find convenience in Keurig coffee makers and similar types of machines. They pour a consistent cup of coffee every time, they’re cost-effective compared to buying a cup of coffee at Starbucks, and you can choose from a variety of flavors and beverages. The features that are important to you will primarily be determined by the type of coffee you intend to make on a daily basis. If espresso-based coffee drinks get you going in the morning, you should look at the Nespresso – Citiz Espresso Maker. If you’re looking to continue to make drip coffee from freshly ground beans, and you want to manipulate the strength and water-to-coffee ratios yourself, you probably don’t need a Keurig. But, if you’re attracted to the convenience and variety of the K-Cup system, then choosing which one is right for you will require looking at some additional factors. These machines vary significantly in terms of size. The Keurig appliances are large and can take up quite a bit of counter space. Their height, in particular, makes them hard to store out of the way and off of the counter, in a cabinet or on a shelf. The size of your kitchen and your needs for clear counter space will lead to considering some options over others. In addition to varying dimensions, the machines all have distinct design qualities that make them more or less visually appealing. Some models are sleek, sharp, and impressive. Others look bulky, antiquated, or cheap. Objectivity is difficult to achieve when evaluating what looks good aesthetically, but for something that will end up most likely living in view on your kitchen counter, it would be nice to like the way your coffee maker looks. 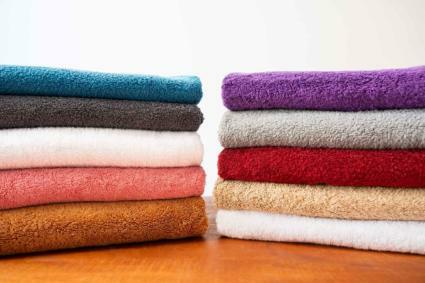 Your Best Digs is primarily motivated by the quest to find and recommend the very best products. While value is important to us, we do all of our testing and evaluation without weighing price too heavily. 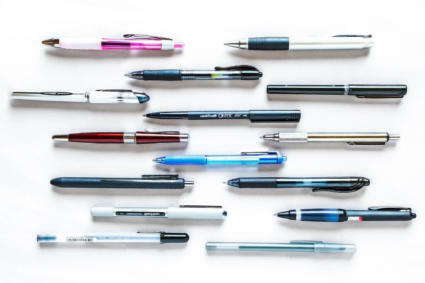 We aim to give our readers a complete understanding of what it’s like to own and use these products. Armed with that information, it is then ultimately for you to decide on the cost-benefit analysis that fits your needs and your budget. It’s important to remember, however, that it’s not just the cost of these machines that varies so greatly; so does the cost of operating them. As discussed above, the price per cup of using the Keurig or Nespresso pod system is much higher than using a traditional grind and drip. The convenience vs. affordability evaluation will differ depending on what you value. Our first task was to gather accurate data for the height, length, and depth of each machine to determine their footprint on your countertop. We also noted the different volumes that each machine pours in order to determine the size of cup that it can accommodate. 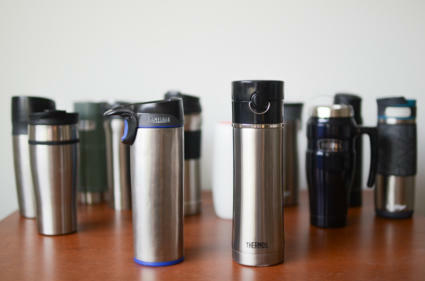 Not every single-cup coffee maker will be able to brew directly into your 16-ounce travel mug, so this statistic is more important that it may seem. One common complaint of people using Keurig machines is that the coffee isn’t quite as hot at they would like it to be. Most coffee is recommended to be brewed between 195 and 205 degrees, and served between 155 and 175 degrees, but personal preference of coffee temperature varies widely. We used the thermometer that won our pick for best digital thermometer, the Lavatools Javelin Pro, to determine the temperature of an eight-ounce cup of coffee immediately after the brewing process concluded. For the Nespresso – Citiz, we used the larger 3.7-ounce setting since it lacks an eight-ounce option. If you know you tend to enjoy your coffee at a certain temperature, the data we found during this test will be particularly helpful. One of the main attractions of the single-cup coffee maker is the speed. Most people hope for a quick process with a minimal wait time as they’re trying to get out the door in the morning. We ran the clock on both the time it took for each machine to heat the water and how long it took to brew an eight-ounce drink (a 3.7-ounce pour with the Nespresso). When considering time, it’s useful to know that two of the machines we tested offer an auto-on timer option — the Cuisinart SS-700 Single Serve Brewing System and the Keurig 2.0 K575 Series Coffee Maker. The water heater will click on at the specific time you set, which means all you have to do is press the brew button and you’ll be drinking coffee in less than a minute. 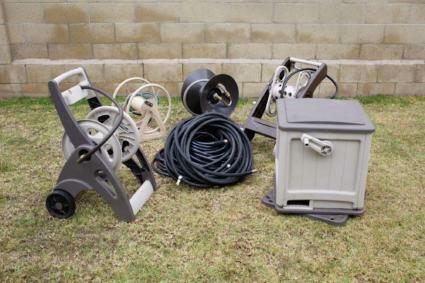 The machines we tested come with a variety of different accessories to suit any taste. Some come with charcoal filters, which attach to a wand sitting in the water tank to purify the water before brewing. Some Keurig systems come with a K-Cup reusable coffee filter that allows you to use your own ground coffee, while you might need to buy this piece separately with other machines. Many of the models we tested came with sample packs of pods to try, and one machine, the Black+Decker Brew ‘n Go, even came with a travel mug that fits perfectly under the spout. After coming down from the buzz of testing the best French presses earlier in the year, our coffee-testing team was excited to get familiar with the user experience of the single-cup machines. We lived with the coffee makers for two weeks and used them often, toggling through features, observing sounds, deciphering cleaning directions, and of course, drinking copious amounts of coffee. We recorded our thoughts, feelings, and emotions throughout the whole process and reflected back on them, in conjunction with all of our data, to determine our favorite single-cup coffee makers. The Keurig 2.0 – K575 Series Coffee Maker is a leader in the single-cup market for a reason. It’s incredibly versatile, easy to use, and packed full of features — plus it makes great coffee. If you want the best pod-based single-cup coffee maker on the market, you should invest in the Keurig 2.0. The first experience you have with the Keurig 2.0 is with the LED color touch screen, which makes selecting your options quick and easy. This screen features a variety of options to suit your personal taste. First, you have the ability to choose the size of the drink, from a strong, concentrated four-ounce up to a full pot — what Keurig calls a four-cup carafe. The increments in between allow for more control over the size of your morning cup of joe than any other product we tested. While you can manipulate the strength of your coffee by adjusting the ounces of water to some extent, the Keurig 2.0 also has a “strong” setting. The strength setting, which takes about 20 seconds longer than the regular brew cycle, works by increasing the extraction time. The result is coffee that is noticeably richer and thicker. Other upgrades over the original Keurig machines include “auto-on” and “auto-brew.” The “auto-on” feature will heat the water at your pre-set time, leaving you just over 40 seconds away from your coffee when you reach the kitchen and press the brew button. “Auto-brew” will actually complete the brewing process if you’re using one of the larger K-Carafe pods. This way you can have a pot completely ready when you reach the kitchen. This sleek single-cup coffee maker is easy to use and consistently makes hot, great tasting coffee. In our testing, the Keurig 2.0 outperformed the competition in terms of speed, heat, and usability. The one-minute, 47-second heat cycle was the fastest of the K-Cup-based systems we tested, and the 41-second brew time was just two seconds slower than the fastest K-Cup machine, the Cuisinart SS-700 Single Serve Brewing System. The Keurig 2.0 is in a class by itself. While it’s the largest machine in our top seven, it’s the best looking machine — with the smoothest edges, sleekest face, and its user-friendly LED screen. If it’s left plugged in overnight, the water tank glows with a soft night light. 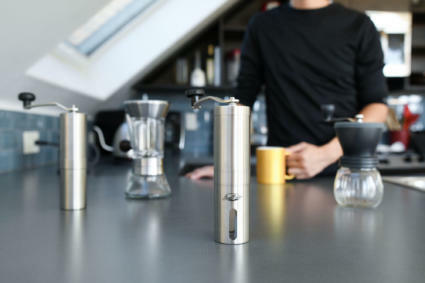 It also gets bonus points for its charcoal-based water filtration wand, which purifies water before brewing coffee, and its push-button hot water dispenser, which can be used for tea or instant noodles. The ability to make pod coffee stronger, faster, and hotter than other machines makes the Keurig 2.0 K575 Series Coffee Maker the best single-cup coffee maker. The color LED-screen, sleek edges, and soft night light embedded in the water tank create a countertop presence that is impressive and sophisticated. The option to use larger pods to brew full pots of coffee or to grind and brew your own beans makes the Keurig K575 2.0 incredibly versatile. The Black+Decker – Brew ‘n Go may lack the bells and whistles of some of the other machines, but that’s part of its appeal. The Brew n’ Go is essentially a mini version of a traditional drip coffee maker that dispenses coffee into a 15-ounce stainless steel travel mug, which is included in the box. It has one button and one setting: Brew. The Brew n’ Go will use all the water poured into the machine, so it’s recommended to use the included mug, or the same mug you plan to use for coffee, to fill the tank. Unlike the other single-cup coffee makers, it does not shut off after a specific number of ounces, and it will overflow your mug if you pour in too much water. This can be a positive or negative depending on your personal coffee brewing preferences. The permanent mesh filter system eliminates the need for paper filters, and it cleans easily with just a rinse. You can either use coffee ground for drip machine use or grind the beans yourself at home. You have total control over strength and taste because you select the amount of coffee, the type of coffee, and the amount of water. A simple and inexpensive way to quickly brew a hot cup of coffee. We found that the Brew n’ Go made coffee significantly hotter than the other single-cup coffee makers we tested. At 182 degrees, coffee made with the Brew n’ Go is five degrees hotter than the newer Keurig model and more than 10 degrees hotter than every other machine we tested. The coffee that comes from a Brew n’ Go will stay warmer longer, so you can slowly enjoy it longer than coffee from the other machines we tested. The compact design allows the Black+Decker Brew ‘n Go to fit on any small counter, in a cabinet, or even on your desk at work. It’s about a quarter of the size of the Keurig machines we tested. Finally, at about $18, it is substantially more affordable than the other top seven single-cup coffee makers. And, that price includes the stainless steel mug that fits the machine perfectly. If what you want is a single cup of no nonsense, reliably hot drip coffee, the Black+Decker Brew ‘n Go is an excellent choice. A permanent mesh filter and included stainless steel travel mug make the Black+Decker Brew ‘n Go a truly complete system. Just add coffee. One setting means the control is in your hands, not the machine. Choose your favorite blend, grind the beans your way, and add just the right amount of coffee and water for you. It serves hotter coffee at a more affordable price than any other machine we tested. The Brew n’ Go has a sharp, compact design that will fit just about anywhere. The Nespresso – Citiz Espresso Maker is a beautiful machine that makes espresso-style coffee in servings of 1.35 or 3.7 ounces. These highly concentrated coffees can be enjoyed on their own or can be used to make lattes, Americanos, cappuccinos, or iced drinks. Like the K-Cup brewers, the machine is very easy to operate. Pop in a pod, press the size option you want, and the coffee pours directly into your mug. The Citiz is even designed with a small tray that folds out so a smaller espresso cup, or demitasse, can sit just below the spout. The end product is not just strong; it’s finished with a light tan, frothy top layer called crema. This delicate foam has a lot going on. As we sifted through information on chemistry, fats, oils, proteins, roasting temperatures, and optimal extraction pressures that influence the appearance of crema, our heads spun a bit. In our testing, however, we found that the mouth-feel of the espresso is satisfying and the taste is what you’d expect from a $5 espresso at a coffee shop. Ideal for those who would rather have espresso instead of coffee in the morning. The Nespresso company markets about 30 pod varieties with exotic names based in Italian and Turkish. Independent companies market additional options as well as reusable pods that can be filled with your own ground coffee at home. The pods, or capsules, as Nespresso calls them, are primarily made of aluminum which can be recycled. Because the used grounds must be separated from the aluminum, it’s pretty difficult to do at home. However, Nespresso will send you a free recycle bag that you can fill with up to 200 capsules and then drop off at any UPS location to shipped backed to Nespresso free of charge. In our testing, the Nespresso machine was the fastest to produce a finished product from turning the machine on to taking the first sip of coffee. While the espresso was just outside the top three in terms of temperature, at 171 degrees, it didn’t seem to be a deal-breaker because the small shots are meant to be enjoyed quickly or mixed with another hot beverage like steamed milk. 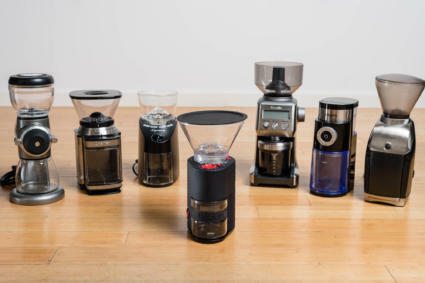 The machine itself is expensive, priced at just under $200 when we published this article, and the pods are more expensive per cup than using a traditional brewing method. That being said, it is a high-class machine that looks and feels top-of-the-line while consistently producing a product that would otherwise be very difficult to accomplish at home without a full-blown espresso machine. The Nespresso Citiz makes espresso complete with a light, foamy layer of crema on top. Coffee varieties from Nespresso and other producers, along with the ability to use your own espresso blend, have greatly increased options since the machine was first introduced. It is a high-end product with an high price tag that we feel is justified and well worth it for serious coffee connoisseurs. Mr. Coffee, arguably the biggest name in the American home coffee maker market, offers a great machine that will get you into the K-Cup system at a very reasonable price, around $60. The Mr. Coffee – K-Cup Brewing System brews both K-Cups and your own ground coffee with the included K-Cup filter. Instead of a lever that opens to reveal the K-Cup compartment, the Mr. Coffee pod compartment slides out completely and you pop the pod into the chamber before sliding it back in. A bit of care needs to be taken because this exposes the small sharp needles that pierce the pods during brewing. The Mr. Coffee has one setting for brewing, and it lacks any different size settings. While the Mr. Coffee machine doesn’t have extra features, the straight-forward operation and entry-level pricing make it worthy of consideration. 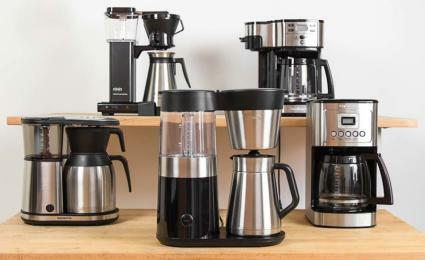 The Hamilton Beach – Single Serve Scoop Coffee Maker functions in much the same way as the Black+Decker Brew ‘n Go but with a higher quality design and the addition of a strong setting. Made of stainless steel, the Hamilton Beach looks sharp and durable. The mesh scoop filter, also made of steel, can be used to spoon coffee out of the bag and then directly into the machine for brewing. As mentioned with the Keurig 2.0’s strong setting, a single cup of coffee can be made stronger by slowing down the extraction process. Much like allowing a tea bag to steep a bit longer, more flavor is released from coffee that is exposed to hot water for a longer period of time. The Hamilton Beach has a “bold” setting that functions in this manner and produces a cup that does indeed taste stronger. In terms of speed, the Hamilton Beach excels. It brews a full cup of coffee quicker than any other machine, when combined with the heating cycle, and it’s just one second slower than the Nespresso, which brews a cup half the size. However, at 167 degrees, the end product is substantially cooler than the coffee from other single-cup coffee makers we tested. The Cuisinart – SS-700 Single Serve Brewing System was made by the popular kitchen appliance company to rival the newer Keurig machines. In our testing, it closely mirrored the Keurig 2.0 in performance. The Cuisinart was one second slower in the heating cycle, but two seconds quicker to brew. It was also just one degree cooler than the Keurig 2.0. Since our testing, this model has been replaced by the SS-10 model, and we’ve updated links throughout our review to the new one. The Cuisinart includes many of the same features we fell in love with in the Keurig 2.0 machine: a water filtration system, push-button for hot water, and the “auto-on” capability. The Cuisinart will brew licensed K-Cups as well as alternative pods, and it is compatible with the My K-Cup system that lets you use your own ground coffee. The Cuisinart advertises five temperature settings, but when we used our Javelin digital thermometer to check the coffee set at 168 and 172, (the lowest and highest setting, respectively) we found just half a degree of difference. We were also less impressed with the LED screen, blue backed instead of full color, and the maximum brew size of just 10 ounces. Remember, the Keurig 2.0 has half a dozen settings between 12 and 30 ounces. These shortcomings, combined with the lofty price tag of $220 prevented the Cuisinart from being considered one of our top picks. Another machine that failed to stand up to the competition is the Keurig K55 Coffee Maker. One of the older Keurig models, the 55 does a fine job of brewing K-Cup coffee into one of three different sizes. But that’s all it does. 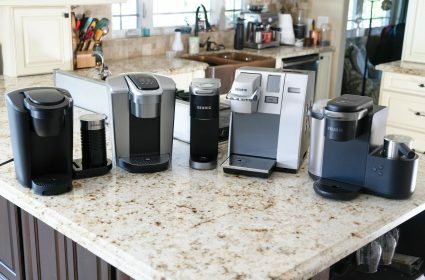 Knowing that so much more is now possible with the Keurig brand in terms of size options, functions, and design, it’s hard to justify investing in the older model when the newer 2.0 models are available for about $50 more. The single-cup coffee maker is a great machine for quickly and conveniently making one cup of coffee, right when you want it. A lot has been written about the environmental impact of single-use pods that have been popularized by the Keurig system. It is also clear that K-Cup coffee is significantly more expensive than traditionally brewed drip coffee. We understand both of these concerns, but for the purposes of this review, we sought to declare the best single-use coffee maker on the market today. After two weeks, many cups of coffee, and more than a few jitters, we can declare that the Keurig K575 2.0 Series Coffee Maker is the best single-cup coffee maker. The Keurig K575 2.0 accommodates more brewing sizes, produces hotter coffee and completes the brewing process quicker than all the other machines we tested. The next generation features like its coal-based water filtration, “auto-on,” “auto-brew,” and a color LED screen make the machine incredibly versatile and easy to use. If you’re looking to stay away from the K-Cup-based system, we recommend the Black+Decker Brew ‘n Go. The Brew n’ Go is essentially a smaller version of a traditional drip coffee maker with a reusable mesh filter and a travel mug that fits the machine perfectly. It has one button, it does one thing, and it does it very well. Coffee made with the Black+Decker was consistently hotter than any other machine we tested. At the opposite end of the spectrum is the Nespresso Citiz, our favorite high-end machine. The Nespresso Citiz makes espresso that is reliably strong and delicious. It looks sleek and modern, and we felt a little spoiled to have it simply sitting on the counter. The Nespresso pods are even recyclable, and while that does require a bit of an effort, we are grateful for it. If it’s obvious at this point that the Keurig is for you, we might also suggest checking out our review of the best Keurigs to further wet your appetite. If you want the best in the single-cup market, the Keurig K575 Series stands out among all the most important metrics.